Rohit Sharma & Virat Kohli In Big Misunderstanding ?? Rohit Unfollowed Kohli On Both Twitter & Instagram !! 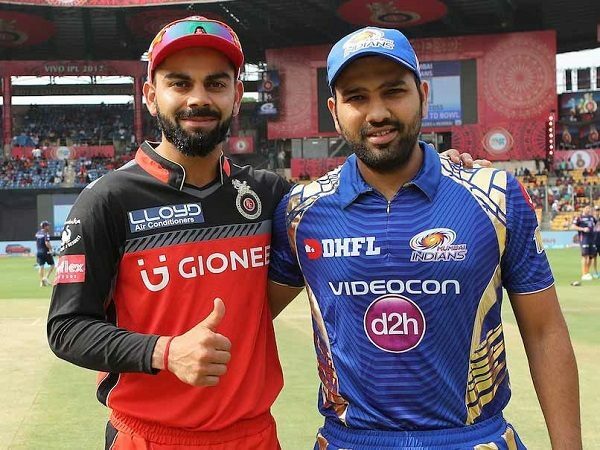 Rohit Sharma and Virat Kohli are one of the top Indian cricketers and among the best IPL players at this moment. But after some recent events, it has emerged that all is not well between both. Reportedly, Rohit has unfollowed Virat on both Twitter and Instagram and this has really disturbed all the fans. Virat on other hand still follows Rohit. The topic has caught the heat and fans are busy discussing reasons which could’ve resulted in this fallout. @ImRo45 void is filled up by @AnushkaSharma 😆 I believe WAG’s are not allowed till 3rd test. Different rules for different players! @IndianMourinho thoughts on Rohit Sharma being a prick and unfollowed Virat on IG and acting like he is the second coming of Jesus? Rohit is it true that something happend btwn virat n rohit ?? Rohit Sharma follows Shardul Thakur, Dhawal Kulkarni etc but don’t have enough space to follow the Captain of the national team so unfollowed Virat Kohli. Virat is following Rohit Sharma but Rohit has unfollowed him recently!! I hope there is nothing serious between them!! Meanwhile both the players not following each other in twitter but Kohli following Rohit on Instagram but Rohit did not follow the nation’s cricket team captain in either of them. What do you think on this, let us know !! Previous articleZee Tamizh Editors To Be Nominated For Academy Awards This Year !! Their “CCV” Version Edit Got International Acclaim !! Next articleHere’s What Happened To Those 17 Accused Who Raped 11-Year-Old Chennai Girl ! !